Great design combinations don’t have to stop with your living room furniture. Actually the best home decor flows throughout your living space without becoming bland. Do you read in bed, book or Nook? Depending on your answer, your lighting will be different. Does your nightstand have storage you don’t need, or do you need more? Do you have a large closet that holds about everything? Then you may not even want a dresser in your room taking up floor space that could be used for a small seating or breakfast area. Hardly any closet, then a dresser may not be enough, think about building in a partial floor to ceiling wall and mounting hang rods behind for a “walk-through” closet. Seating is often overlooked. How about an accent chair for a sanctuary reading spot? Or an upholstered bench to sit while you put your socks on? Once you have taken stock of the functional needs, you can inject your style thoughts into the answers. Organic, romantic, classic or modern. This is your space to define, but PLEASE define rather than just collect. Changing up textures between your bedroom furniture and the other design elements in the room, while keeping a constant color theme and style definition is a great way to mix it up. Think shiny and dull, soft and hard. Glass surfaces are a great accent, but too harsh for a whole wall (forget the full mirrored closet doors now! Love the mirrored dresser or nightstand.) 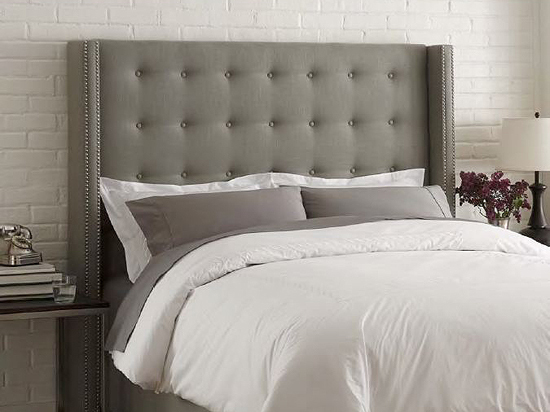 Do you really want a hard wood headboard, or maybe your sit up in bed and need a structured upholstered piece. Most importantly, have fun with your space and let the function and your color and style call the shots…not the label or the “matchy-matchy” technique.